Washed up on an island. Alone. Cold. And absolutely starving. In your delirium, you begin talking to the sandwich that you were about to eat before you arrived here. This is Dear Sandwich. Made on and off over the past seven months, Dear Sandwich chronicles one man’s confused journey across an unknown island as he embarks on a bloody-minded journey to find the one thing he had left in his life – a chicken and bacon sandwich. Just as a heads-up, what you’re downloading is a collection of sound files, so there is potential for things to go wrong. 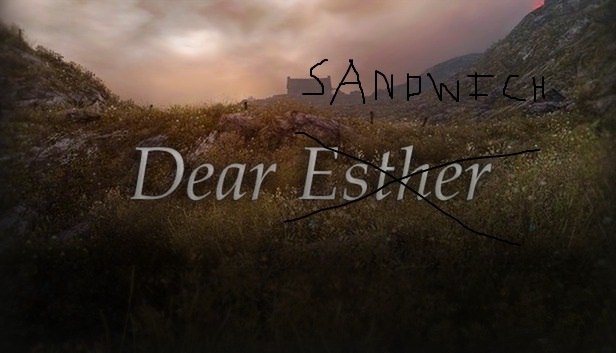 To that end, please, please read the README included for full instructions on how to change Dear Esther into Dear Sandwich.